Have you ever asked your kids where do they think Money come from? Believe it or not, your kids start to make financial decisions at a very early year, even 3 years old. If you are not sure about this, ask yourself, who chose the cereal and juices in the Household? Where do they choose to buy it? At the grocery store, right? They are pointing out what they want. Most kids don’t understand where the money is coming from, but they assume that all they need to do is ask and it is given. 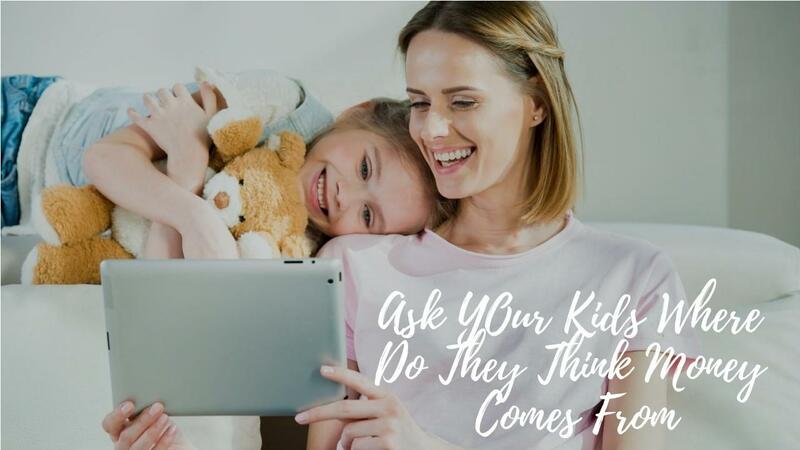 If you want your kids to learn the correct concepts about money from a very early age, then they need to be clear about where the money is coming from. You can also give them tasks so they understand that money is an exchange of value. Teaching them to have their own business at an early age will also teach them the path of entrepreneurship. Have them read kids books about money. When you start teaching your kids numbers and how to count, instead of paper or marbles, teach them to count coins. Kids should also have a weekly cash allowance. On average, they should get a dollar per year of age. So if your kid is 5, they should get $5 Per week. If the kid is 10, they will get $10 Per week and so forth. Now the purpose of this is to teach them the concepts of wealth. Therefore, 10% should go to savings, 10% should go to giving and 10% in taxes, and the rest is for them to spend it on whatever they want. The money that they have to pay in taxes, put it on a long-term investment for them. That way they will learn the value of money. But once the money is gone, it is gone. So they will have to wait until they get the next allowance. And they will also think twice next time before they spend it on stuff with no value so they can get what it is more important to them. Just a concept as basic as this will teach them the value of money and that it just doesn’t come from the ATM or that the plastic (credit card or debit card ) is unlimited. Having them visualize the cash until it is gone, is a wake-up call and teach them to be responsible with their money. Any kid that learn this most likely will achieve great success in their future.